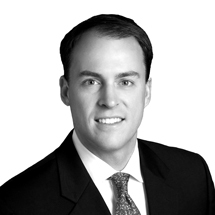 Andrew, Certified Financial Planner®, joined Smith, Salley & Associates in 2015 and is serving as a financial advisor. As a CFP® professional, he responsible for working directly with clients to solidify their financial plan and appropriate investment strategies to meet their long-term goals. His work ensures that financial planning is tightly integrated into the wealth management process from the very start of any relationship.Andrew is also a member of the Investment Committee. Previous to joining SS&A, Andrew spent seven years in the insurance business with a regional firm. He received his undergraduate degree from the University of North Carolina and went on to earn his MBA from Ohio University. Originally a native of Cary, NC, Andrew and his wife Allison have three daughters and call Greensboro home. To contact Andrew you can email him at adonovan@smith-salley.com.